So here we are getting close to the end of October and college football season is in full swing with upsets happening every week! Who do you cheer for? In our household, this week is a house divided! BIG TIME!! 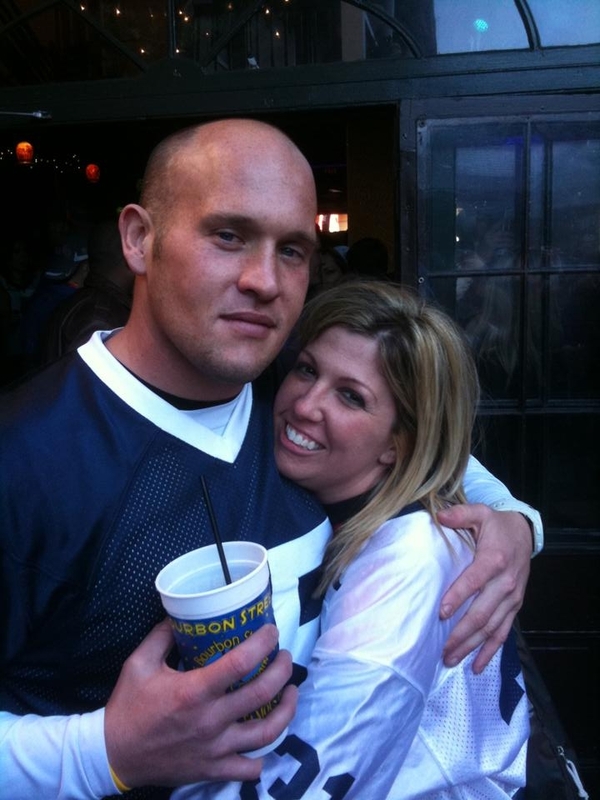 Donna is a long time Ohio State fan and Im a long time Penn State fan. This weekend we will see if PSU is ready to take on OSU at Beaver Stadium, #107k strong. Im predicting a close upset with PSU winning. And here’s a old #TBT pic of Donna sporting here true colors!!! Our first New Year’s Day together in New Orleans. Watching the PSU game in the French Quarter. Sugar Bowl after Ohio State won! On a training note how is everyones off season base miles coming along? With the Ironman Texas training plan start date creeping up on Donna and I our base miles are very important for a strong and healthy start. What do you consider a good base point going into an IM training plan?